let’s start the series of continuous probability distribution, It’s a big topic so we will earn this in parts. Lets learn the built-in R functions, distribution and parameters which are used in R for continuous probability distribution. random numbers generated from the distribution (which has a r prefix). If we want to calculate cumulative probability we have make p prefixed to the R function[e.g pbeta]; and for probability density, we have to make d prefixed to the R function[e.g dbinom]. 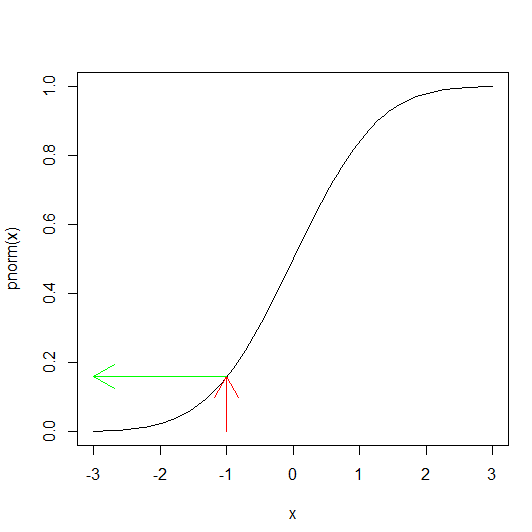 The cumulative probability function is a straightforward notion for any value of x, the probability of obtaining a sample value that is less than or equal to x.
associated with obtaining a value of this size (−1) or smaller is on the y axis (green arrow). 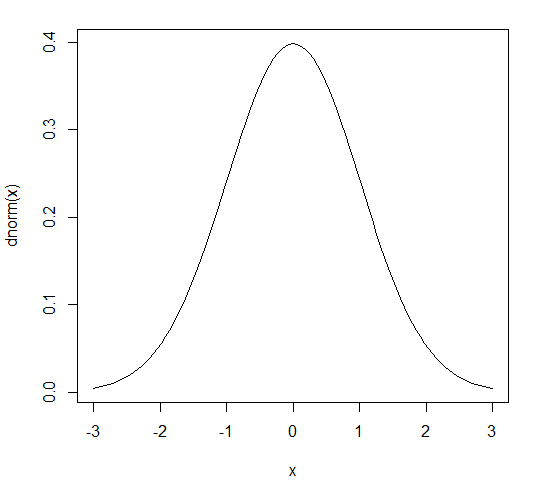 The probability density function is the slope of this curve (its ‘derivative’). You can see at once that the slope is never negative. The slope starts out very shallow up to about x=−2, increases up to a peak (at x = 0 in this example) then gets shallower, and becomes very small indeed above about x=2. rather than counts, and the discrete values of x (0, 1, 2, 3,…) on the horizontal axis(x). It does not have probabilities on the y axis, but rather the slope of the cumulative probability function at a given value of x.